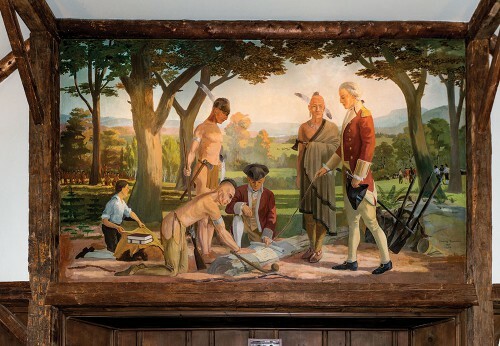 Currently browsing posts filed under "Herb Allen ’62"
President Falk has committed a serious error by censoring a painting in the Log and convening a tribunal to judge the moral value of art objects on the campus. The committee members will be serving on the College’s edition of the old House Un-American Activities Committee. Around the United States, terrified college presidents are running for their lives to stay ahead of intellectual lynch mobs. The Falk effort is an attempt at preemptive escape from the fire of the new righteous. Paintings and sculpture will always displease, alienate or offend someone. There is no object of art that can’t be attacked for whatever reason. The right to criticize objects exists for all. Also, the right of groups to have representation through the placement of art on the campus is reasonable. All of that vastly differs from the act of boarding up a painting and appointing a committee to destroy the past. That practice when done by communists, fascists or the Taliban leads to endless destruction and thought suppression, and, ultimately, backfires. My suggestion is that President Falk disband his committee on moral appropriateness and focus on broader representation of groups who feel underrepresented. Raise some money for new artworks and be done with running from the mob. The College would love to “raise some money” from Herb Allen, one of the most generous alums of the last 50 years. John Malcolm ’87, call your office! If you were Malcolm, how would you start a conversation with Allen about this topic, given that you lack the power to make the committee go away? 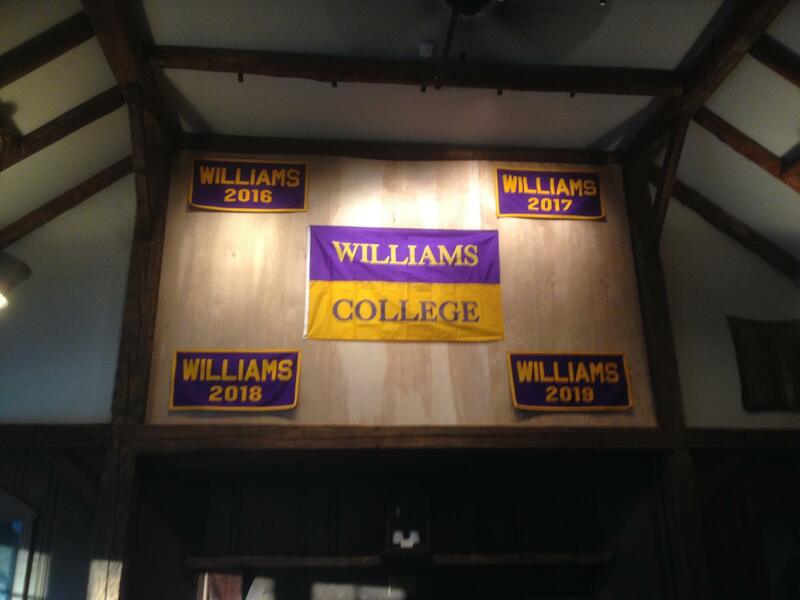 Other Eph-connected folks include Robert Kraft, with two Williams sons (Jon ’86, a trustee and Josh ’89, a Bicentennial Medal winner). Any others? Background from Forbes on the Ephs below. Previous discussions here and here. New VP of Alumni Development John Malcom ’86 will be targeting rich Ephs like these for the core of the College’s next capital campaign. Have any advice for him? #123 Edgar M. Bronfman ’50. #190 Robert Rich Jr ’63. The (very cool — kudos to the student masterminds) Eph Business Association provides students with an opportunity to ask Herb Allen a question on April 30. So, what question would you ask? 1) Edgar M Bronfman Sr ’50 at $3.2 billion. Bronfman never graduated from (was kicked out of?) Williams. Surely there is a story to be told . . .
2) Herb Allen ’62 at $2.0 billion. By the way, Allen is listed as a college drop-out. Does he have a degree from Williams or not? 3) Robert Rich Jr ’63 at $1.5 billion. Note also this great article. 4) George Steinbrenner III, ’52 at $1.3 billion. Non-Ephs on the list with Eph connections include Robert Kraft (father of several Ephs including Trustee Jonathan Kraft ’86) and Matthew Bucksbaum grandfather to a current Eph and father-in-law to Williams Commencement (Re-)Speaker Thomas Friedman. Unfortunately, Steve Case ’80 is no longer on the list. Alas, $825 million isn’t what it used to be! Eph most likely to make this list someday? Chase Coleman ’97. Like a gaggle of migratory birds, dozens of private jets return each July to the tiny airport in nearby Hailey, Idaho. There they unload titans of finance and the information industries, like Warren E. Buffett, Bill Gates and Michael D. Eisner, for a week of meetings, mountain biking and barbecued burgers here in Sun Valley. It is part of the annual media mogul summer camp organized by the investment banker Herbert Allen. Allen (generous benefactor of the College’s new theatre and dance complex) has been running this confab for many years. Although I am sketchy about the details (alas, despite the blog, my standing as future media mogul has gone unnoticed), I think that the basic deal is that Allen (via his investment banking firm Allen & Company) invites media bigwigs and their families to Sun Valley. Allen pays for everything. Much schmoozing and deal-making follows. EphBlog is powered by WordPress and delivered to you in 1.338 seconds using 36 queries..